Welcome to another Expanded Universe column where I feature essays from authors and editors of fiction, poetry, and non-fiction, as well as from established readers and reviewers. My guest today is Gabrielle Bellot. Gabrielle Bellot grew up in the Commonwealth of Dominica. 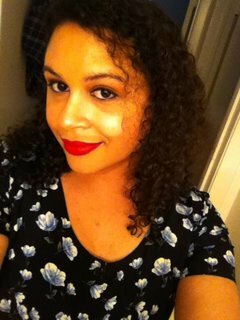 She has contributed work to Guernica, Autostraddle, Prairie Schooner’s blog, The Missouri Review’s blog, the JFR, and other journals, and she was featured on The Butter’s ‘This Writer’s On Fire’ column. Her work is forthcoming in the Caribbean Review of Books. She is a doctoral candidate in Creative Writing at Florida State University. She has worked in the past as a committee member for Dominica’s annual Nature Island Literary Festival. You can find her on Twitter. Such descriptions are far from rare in the text. Indeed, the entire book sets up as its plot that Fu-Manchu—who embodies the so-called ‘Orient’ and is variously described as a doctor and a ‘sorcerer’—is attempting to overthrow ‘the entire white race’ and ‘civilisation’ so as to create a ‘yellow empire.’ (That the British Empire is itself an empire is both omnipresent and utterly absent in the novel.) So outrageous is the language and action-film pacing of the novel that these descriptions become almost comical in their frequency. Except that to overlook them, or laugh them off, is to miss an important opportunity to talk about and teach how the fantastical—broadly understood—often intersects with a casual form of Othering, which often takes the form of racism, sexism, Orientalism, homophobia, or transphobia. Othering, to put it simply, is a system of creating horror and fantasies about a group; fantasy and horror, as genres, are uniquely likely to feature depictions of Othering because both often require distance and the terror of closeness, in various ways, to work. I don’t advocate avoiding reading texts because of what they contain, nor do I intend to exonerate such texts of their very real problems. And I’m certainly not arguing that any genre is by definition problematic. Rather, I wish to briefly examine how narrative techniques bound up in certain genres are dangerously likely to use the language of Othering, and why this matters as a teacher, reader, and writer. As a queer transgender woman of colour from the Caribbean, I understand what it feels like to be the Other, to have my identity casually brushed aside as a joke or invalidated, to wish there were more texts that contained people like me—something necessary in the context of controversies like the Sad/Rabid Puppies affair of earlier this year over the Hugo Awards; in the way that certain science-fiction writers like Vox Day disseminate homophobic, misogynistic, racist, and xenophobic ideas in their blogs and books; or when General Motors can create an ad in 2013 with lyrics calling China ‘the land of Fu Manchu.’ But I also believe in the value of reading widely and in being able to teach texts that contain problematic language or situations, so as to show how these things work and feel, to show why we need to have certain conversations. Orientalism, almost by definition, is an idea connected to fantasy; it is a lurid Western fantasy of ‘the Orient,’ that is, ‘the East,’ one that often suggests, or explicitly invokes, the idea of magic in some way. By situating a text, situation, or idea in a far-off place, a place that is Other, a writer can easily generate an air of mystery, exoticism, or romance—and fantasy and weird tales of all kinds, with their tendency to greatly distance reader from place, can often push this potentially dangerous technique to its fullest extent. Because weird fiction of all kinds often literalises metaphors—that is, makes what is unreal in realism real—there exists a tendency in such fiction to present Othering more clearly and luridly than it might appear in more realistic fiction. 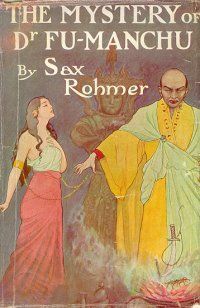 Fu Manchu and his entourage of Indian dacoits, Malaysian assassins, and Arab slaves is an overblown villain by himself; by Rohmer adding in suggestions of ‘Eastern magic,’ however, the character’s exaggerated traits, along with those of his lackies, become almost more normalised, at the same that their Otherness becomes more pronounced. Fu Manchu isn’t just a criminal mastermind. He may even be otherworldly, making him—and all those he represents—seem even more sinister, even more different from the presumed reader. (Fu Manchu, clearly, was not directed towards Asian readers.) As the Other’s magical state is so far removed from that of the presumed reader, their surrounding traits—origin, ethnicity, gender, sexuality—may also thereby become further removed from, that is, Other in relation to, the reader. In Angela Carter’s ‘The Werewolf,’ for instance, the narrator creates distance between reader and characters so as to make them seem as Other as possible, telling us in the first line that ‘It is a northern country; they have cold weather, they have cold hearts’ and, a few lines down, that ‘To these upland woodsmen, the Devil is as real as you or I. More so; they have not seen us or even know we exist, but the Devil they glimpse often in graveyards….’ Here, it is us versus them; the reader cannot come from that northern country, it is presumed, and Othering makes the fantastical elements in this story—witches, werewolves, vampires, the Devil—even more pronounced to the assumed reader. This tendency of enhancing Otherness through fantastical elements appears widely. Consider how the Western media still casually imbues the Caribbean with exoticism, the Pacific Islands with primitiveness, India with mysticism, and so on, and so on. It’s in the way H.P. Lovecraft’s Necronomicon is penned by a ‘mad Arab.’ It’s in Lord Dunsany, Disney’s Aladdin, and Habibi. It’s in the way so many fantasy covers that depict characters of colour from a text are whitewashed, their non-white characters depicted as white—an Otherness through omission. It’s there in the way a great deal of fantasy has taken a vague medieval Europe as its setting, a magical romanticised world of East versus West, swarthy barbarian versus white civilisation. Take Sir Arthur Conan Doyle. Readers only familiar with his novels and the many short stories about Sherlock Holmes and Watson may be surprised to learn that Doyle also wrote explicitly supernatural tales. Doyle—an avid spiritualist who spent part of the last decade of his life trying to prove that a series of hoax photographs of ‘fairies’ and a ‘gnome’ was real—wrote non-Holmes stories about reanimated mummies, ghosts, Brazilian feline cryptids, and more—many filled with the tendency outlined above. The architect of the ship’s loss of crew, a Mulatto male named Septimus Goring, is a villain almost as over-the-top as Fu Manchu. When the narrator, one of the ship’s sole survivors, first encounters Goring, he describes him like this: ‘His curved aquiline nose and straight lank hair showed the white strain; but the dark restless eye, sensuous mouth, and gleaming teeth all told of his African origin.’ Here, Africa—as a whole—is implicitly depicted as a place of restlessness and sensuality. That Goring is described as hideous and later point-blank says ‘I have devoted my life to the destruction of the white race’ only further leaves a bad taste in one’s mouth. The story also depicts most of its black characters as obsessed with a stone they believe to be magical, which is part of a statue in Africa, and only Goring, the ‘half-breed,’ is sceptical enough to reject this cultish worship. In a story that so frequently mentions abolition and that describes a cruel white man slicing off parts of Goring’s hand in his youth, the casual racism is even more pronounced. How easy is it to write off blackness as ‘restless’ and ‘sensual’ and ‘cultish,’ when it is packaged in a story that speaks well of abolitionism? And this racial Otherness becomes more extreme when set against the mysterious strangeness of the Mary Celeste’s tale. Doyle’s stories about mummies—‘The Ring of Thoth’ from 1890 and ‘Lot 249’ from two years later—are also filled with casual Orientalist tropes. 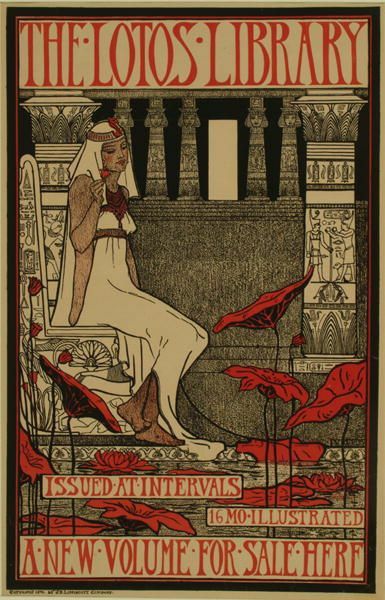 Egypt becomes synonymous for magic, reanimated mummies, and torrid centuries-old love affairs. These texts, crafted during the Egyptomania that swept through nineteenth-century England, were amongst the most lasting and influenced many films and novels about Egypt. The casual Orientalism in Doyle’s texts translates into so many later texts about similar things, which in turn influence later texts, and so on. This progression simply reinforces the notion of places like Egypt—or the ‘Orient,’ broadly—as fantastical worlds that cannot be like somewhere else, that cannot contain human beings like somewhere else, that cannot be comprehensible, that must be, continually, the Other. That this remains a common trope from Doyle up to contemporary shows about mummies and Egypt shows how potent this combination of fantastical elements and exoticism is for reducing somewhere to a single story, to paraphrase Chimamanda Ngozi Adichie. And this is the problem: in order to generate an air of the weird and uncanny, many Western writers simply resorted to—and some continue to casually use—the language of Orientalism and Othering, even in texts with no connection to the ‘East.’ We allow these ideas to perpetuate if we do not call them out when we teach such texts, or if we do not show them examples of these ideas in such casual action when we talk about them. We are free to write whatever we wish—but we also cannot forget the consequences that even a single word can have in perpetuating a reductive fantasy, rather than creating a newer, realer fantasy—as it were—of our own. Part Two of Gabrielle’s essay on Othering will appear next week, which will look at examples from Clark Ashton Smith, H.P. Lovecraft, C. S. Lewis, and others, and how we can talk about these as teachers and readers. KATE LECHLER, on our staff from May 2014 to January 2017, resides in Oxford, MS, where she divides her time between teaching early British literature at the University of Mississippi, writing fiction, and throwing the tennis ball for her insatiable terrier, Sam. She loves speculative fiction because of what it tells us about our past, present, and future. She particularly enjoys re-imagined fairy tales and myths, fabulism, magical realism, urban fantasy, and the New Weird. Just as in real life, she has no time for melodramatic protagonists with no sense of humor. The movie she quotes most often is Jurassic Park, and the TV show she obsessively re-watches (much to the chagrin of her husband) is Buffy the Vampire Slayer. Her personal blog is The Rediscovered Country and she tweets @katelechler. The concept of othering is one that, as a student of Anthropology, I’ve read about a bit through a strictly academic lens. Though it is not surprising to find it in fiction, I hadn’t really thought of it in the genres of fantasy and science fiction like it is outlined in this essay. I would go on to wonder if these attitudes (othering, orientalism, etc.) are irreparably ingrained in our collective imagination or if the echoes we see today are the dying vestiges of a bygone era of ethnocentrism. I also look forward to what Ms. Bellot has to say about how we as readers can talk about these issues! This essay has a lot to do with my degree and my love of reading, I really appreciate seeing it! Thank you for the insight! It’s a good question Skye. And I too look forward to discussions on how to discuss an area so fraught with potential landmines. I do think these attributes were ingrained in us ages ago in survival mode, and it’s been a slow, slow process to gradually ease our way out of that thinking (clearly we’re not there yet), something that comes in fits and starts as new contact means it begins all over again with “new” others (I sometimes wonder if our wandering ways combined with our technology meant in the short term our physical capability to meet others outstripped our evolutionary/moral capability or development to see them as not-other even as it aids the shift to not-other in the long term as we all mingle together more. Or does any of that matter if its just an inherent desire for power in a world seen as zero-sum and so other-ing is a nice justification that lets us sleep at night? And what better way to justify than through story? The eye-opener for me was Conan Doyle. Of course being against slavery didn’t mean being pro-equality, but how interesting (and a little shocking) to see the beliefs put down so starkly on the page.